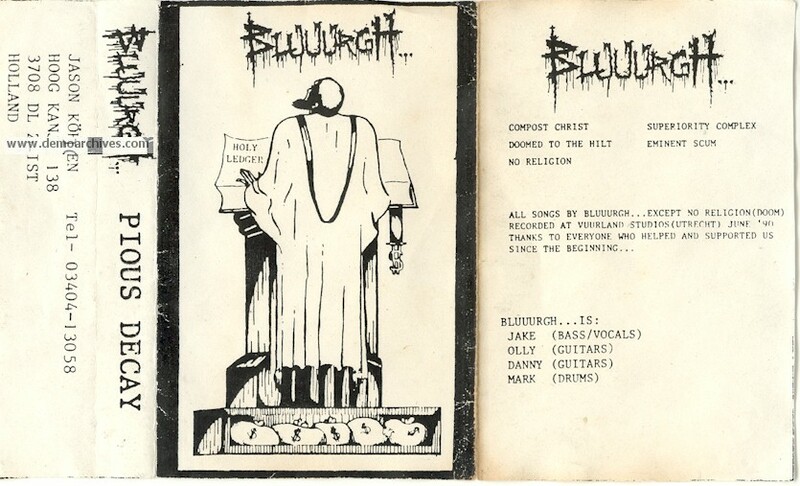 Bluuurgh was a death/thrash metal band from Zeist, Netherlands. 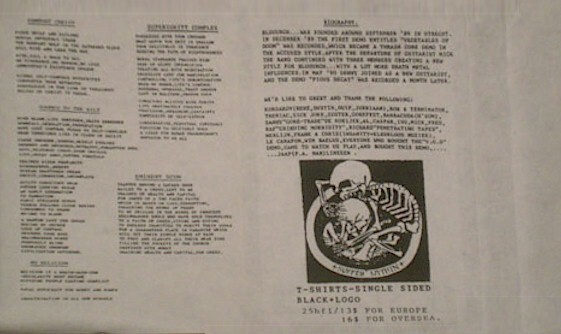 Formed by members of Celestial Season, Bassist/Vocalist Jason Khnen and Guitarist Olly Smit, together with Drummer Mark Sanchez and Guitarist Danny Slokker they released their first demo in 1989, titled Vegetables of Doom. A year later another demo recording called Pious Decay was released and in the same year the label Cannibalised Serial Killer released the double 7 EP SufferWithin. 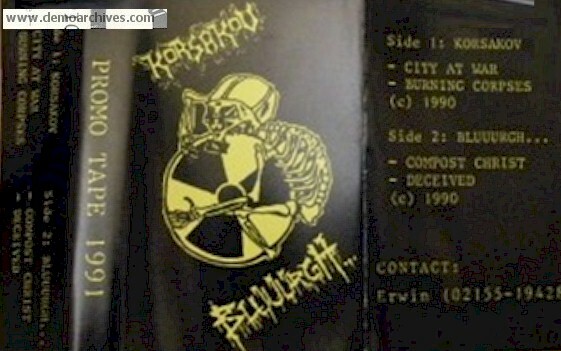 In 1991, Bluuurgh took part in the Cronology of Death split 7EP together with Sentenced, Carbonized and Xenophobia. Finally in 1992 came a records deal with Witchhunt Records and released their first full-length titled In My Embrace in CD and LP. Unfortunately this was the bands last release, since the band split-up after their debut.